Julius Eastman (1940-1990) was a composer, pianist, and singer who was a Creative Associate at the University at Buffalo’s Center of the Creative and Performing Arts 1969-1975 and a member of the Music Department faculty. Seven of his compositions can be heard on the New World 3-CD set titled Unjust Malaise and his famous vocal performance of Peter Maxwell Davies’s Eight Songs for a Mad King remains available on a recording on the Unicorn label. 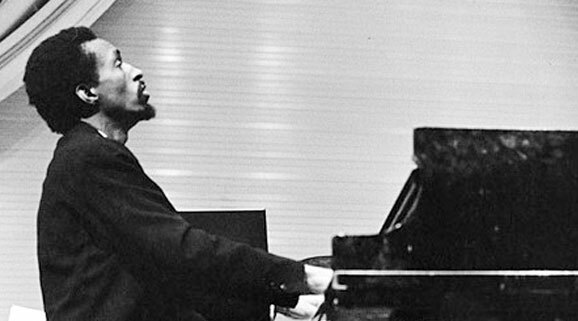 The Julius Eastman Clippings Database consists of 343 clippings in the form of feature articles, concert programs, reviews of concerts, and announcements from the years 1968-1979. The print copies are all housed within the Music Library’s collection of clippings collectively cataloged under the title Programs, reviews, and associated documentation of concerts, recitals, lectures and other performances at the State University of New York at Buffalo. The clippings in the database all contain some mention of Eastman and were identified for the Music Library by researcher Dustin Hurt. More than ninety percent of the content is from local Buffalo sources, including the Buffalo Courier Express (99 items), Buffalo Evening News (87 items), the University at Buffalo Music Department (81 items), and other University at Buffalo news sources. The database includes descriptions of the clippings, including authors of content when stated, the titles of the articles and sources, dates of the items, dates of the events being discussed when available, titles of compositions by Julius Eastman mentioned, names of other composers mentioned, and some other explanatory notes.